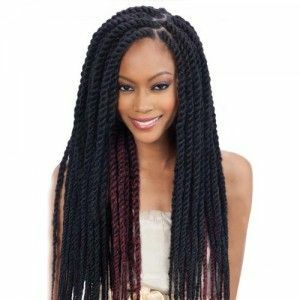 Marley twists are reminiscent of days with reggae music, a relaxed vibe, and wonderful times spent with friends. Stylin’ these tresses into exciting hairdos to creatively express your fashion is becoming a chic trend. 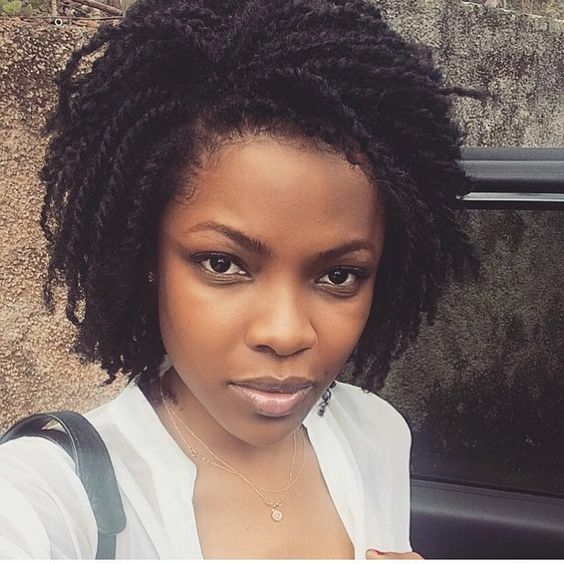 Put on some reggae music, and jam as you check out these 40 cool Marley twist styles. 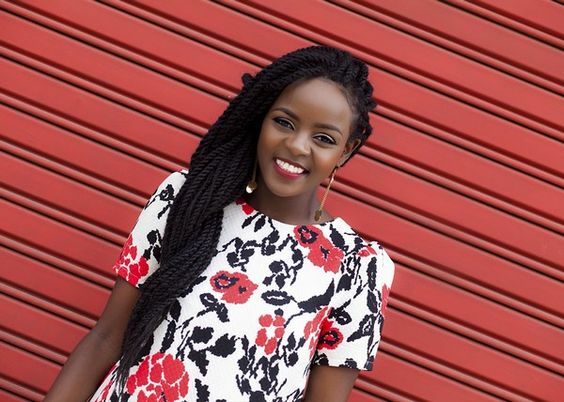 Simple stylin’ can create a beautiful hairdo for any formal occasion or dinner party. Simply sweep all your gorgeous tresses to one side to create a breathtaking look. 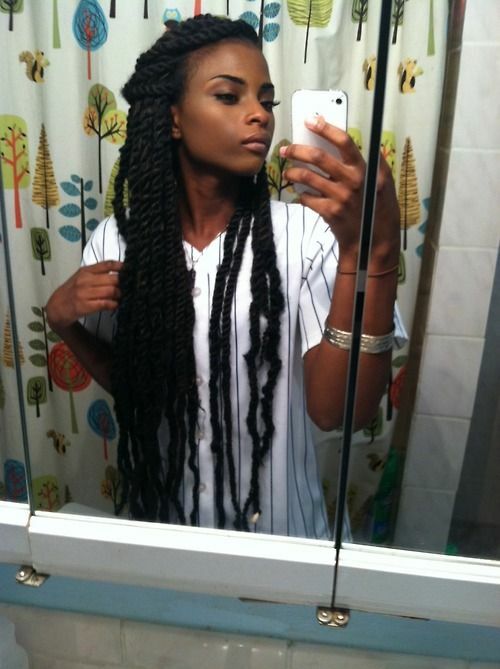 Wear maxi dresses to match the classy vibe of this hairstyle. 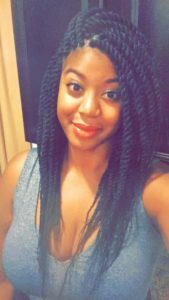 The versatility of Marley twists needs to be noted as you craft different hairstyles. A fabulous up-do is created as you style your tresses atop your head. 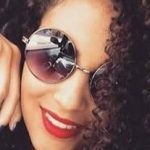 Your hairdo quickly becomes a work of art as you go about your day. 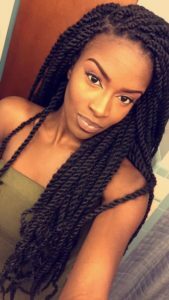 Thick Marley twists are a popular style to wear. 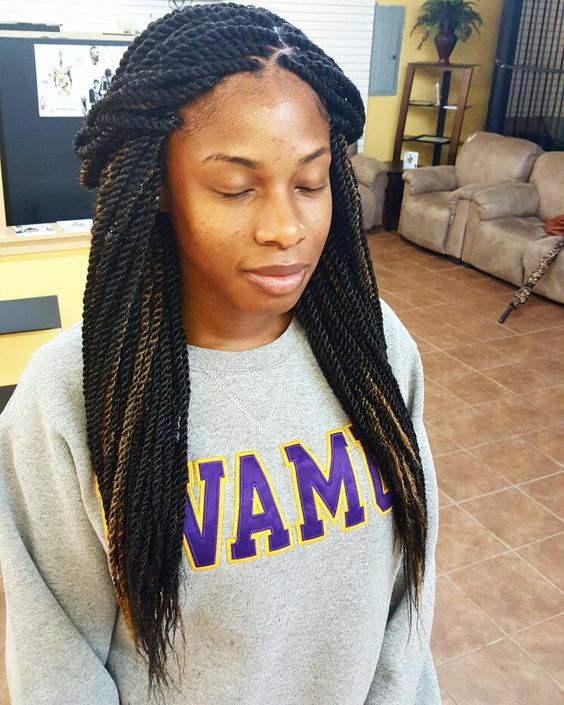 Let your tresses flow freely down your shoulders or create hip up-dos. 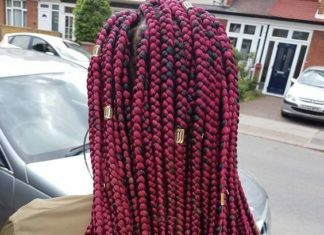 You can create a particular hairstyle to match any occasion you attend. 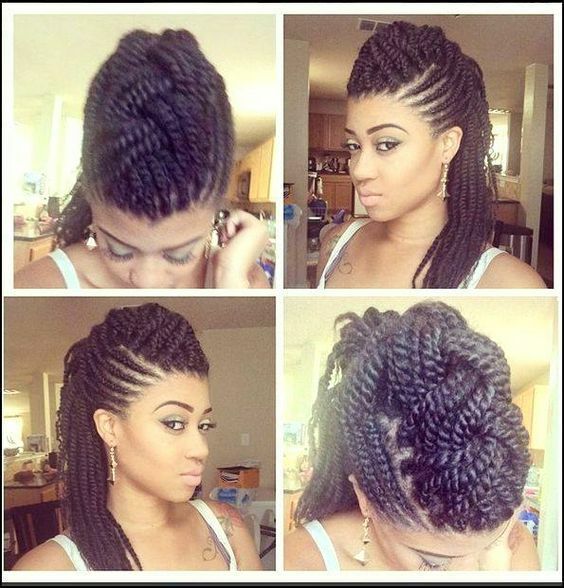 An edgy look is created when you don Marley twists combined with a shaved side. For those who prefer a more modern style, this is perfect. Let your creativity shine as you craft a unique fashion. 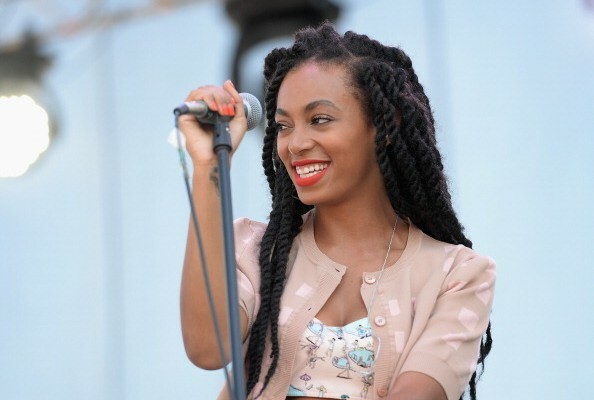 Craft a front bun with your Marley twists for a hip, distinguished look. Be super cool as you wear all your cute outfits with an awesome hairdo. Unique hairstyles can be created with Marley twists. 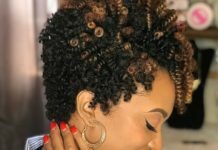 The amazing up-do here is sure to inspire the creativity in others. You can craft a hairdo to showcase your wonderful sense of fashion. 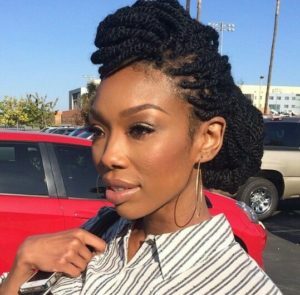 A high bun fashioned with Marley twists is an ultra-chic look. 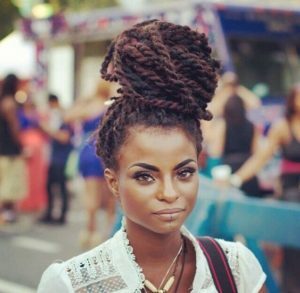 The uniqueness of these tresses creates an awe-inspiring up-do. Stand out with a sophisticated hairstyle. Donning shoulder length Marley twists creates a wonderful hairstyle that will make anyone smile. 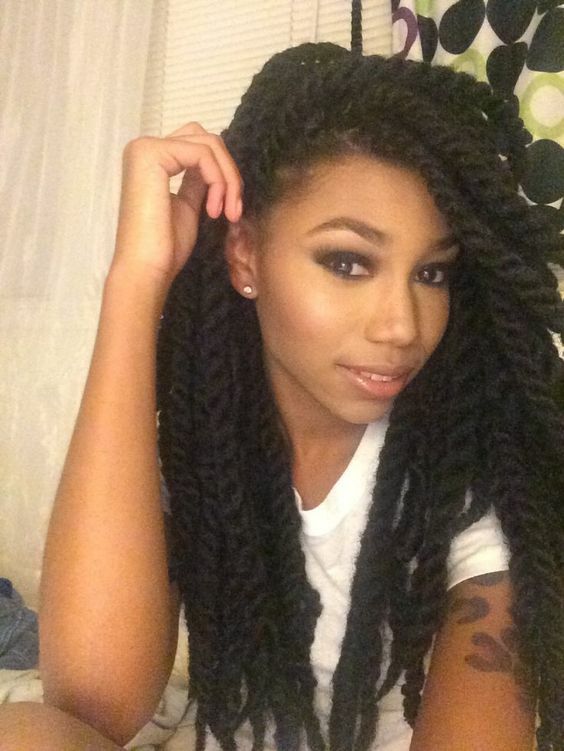 Enjoy a hairdo that can be worn during the day and transition into a night with your friends. A classic hairdo is created when you wear your Marley twists with a middle part. 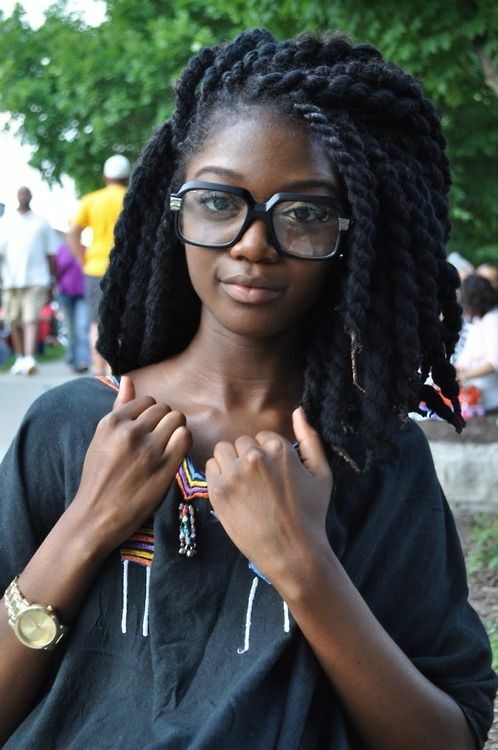 The simplicity of this style is beautiful. 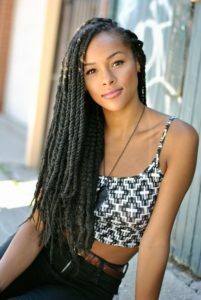 Your tresses can be short, medium, or long when you don a middle part. 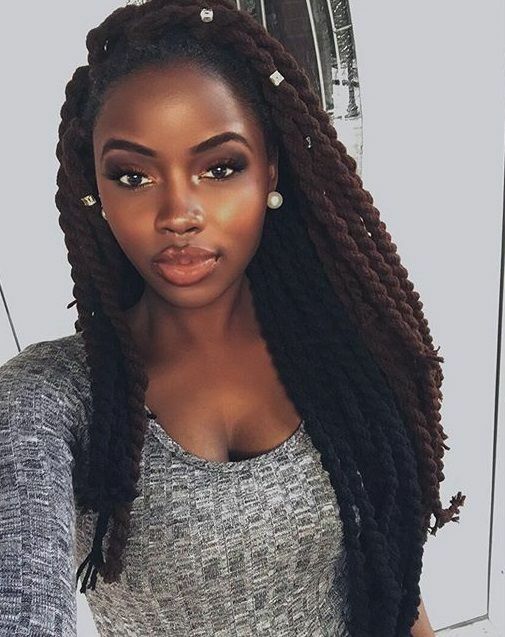 Add subtle highlights to your Marley twists to create an effortless style. Highlights are a great way to add depth and dimension to your hairdo. 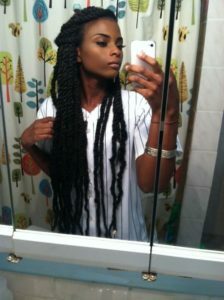 Gorgeous hair can be achieved through a long Marley twist style. Let your beautiful tresses cascade down for a chic, sophisticated look. 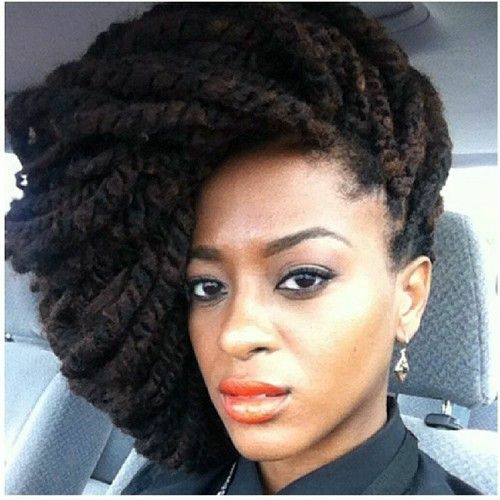 Your beauty will shine forth as you wear such lovely hair. As you attend dinner parties with your friends, don a chic up-do crafted from amazing Marley twists. 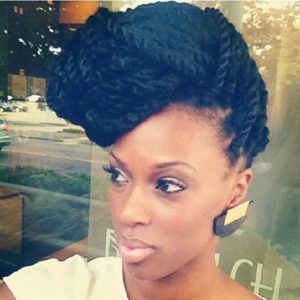 Such versatility comes along with Marley twists, and you can create wonderful up-dos for all occasions. Style curls at the ends of your Marley twists for a softer, feminine look. As you attend elegant events, this hairdo will allow your class and sophistication to shine. 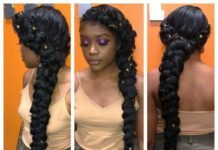 Gowns and dresses pair well with this gorgeous hairstyle. 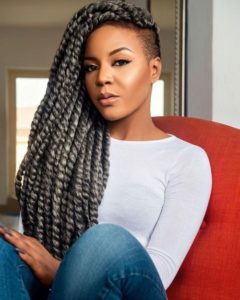 Have squares sectioned into your hair when you wear Marley twists. 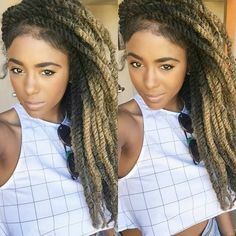 The squares create a unique design throughout your tresses. A cool look to wear during any season. 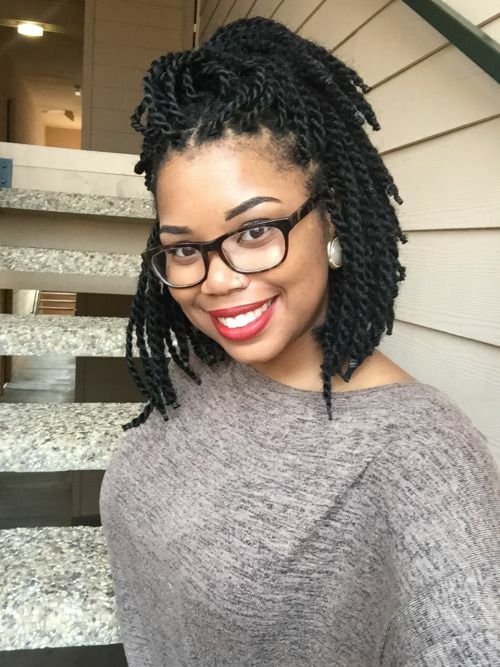 Two-tone Marley twists are a great way to add dimension and depth to your tresses. 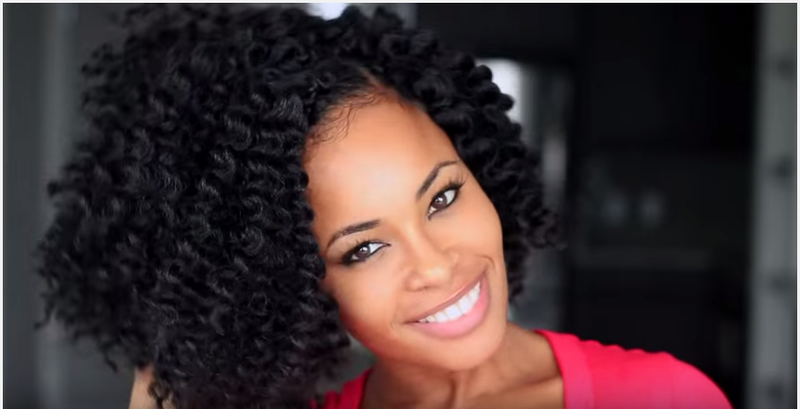 Create beautiful up-dos to showcase the colors, or let your hair down for a gorgeous look. Combining Marley twists with an undercut creates a look with edge. A shaved design adds a modern touch to a chic up-do. 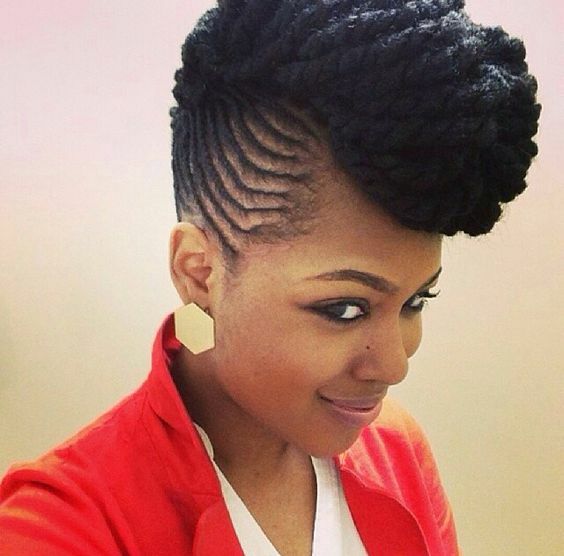 A distinct design etched into your hair is neat and sharp. 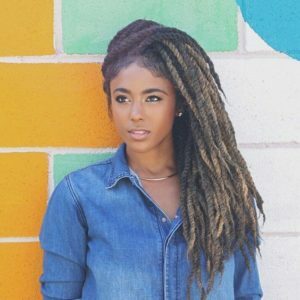 Style your Marley twists into two unique buns. 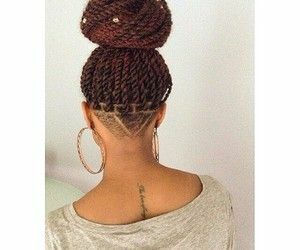 A puffy bun sits atop your head while a low bun is styled in the back. Wear this ultra-chic hairdo as you complete errands or to a formal event. A high ponytail is a beautiful up-do to showcase your Marley twists style. A spunky look is created as you wear gorgeous attire for a night of dancing at the hippest club. Short Marley twists are cute look to wear throughout the year. Create a half up-do for a style that requires little maintenance. Jeans and knit top complete the charming look. 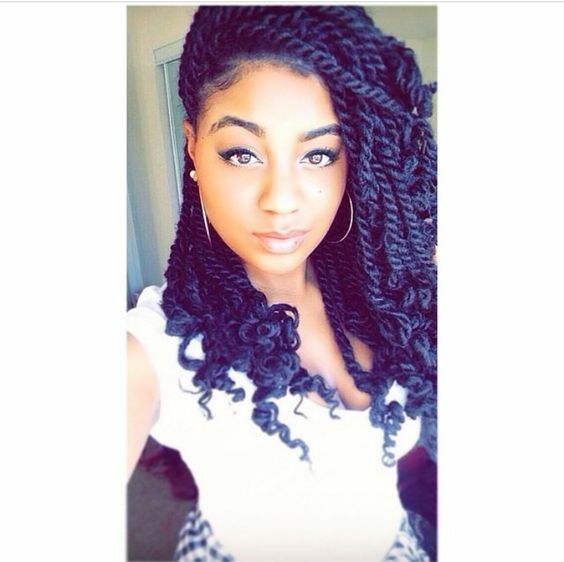 Marley twists with an ombré effect pair well with the relaxed vibe of this style. An ombré effect can be created with a color of your choosing. Emphasize your wonderful sense of fashion through classic or bold colors. 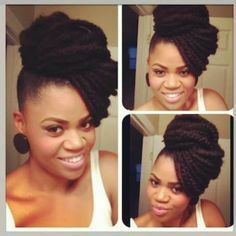 Simply gorgeous describes this half up-do crafted from long Marley twists perfectly. Strands of hair are pulled back in a beautiful half up-do that can be worn to the office or to an elegant occasion. Add hair jewelry to your gorgeous Marley twists for a sophisticated look. Simple accessories can take a classic style to a new fashion level. Hair jewelry complements all your elegant dresses for formal occasions. 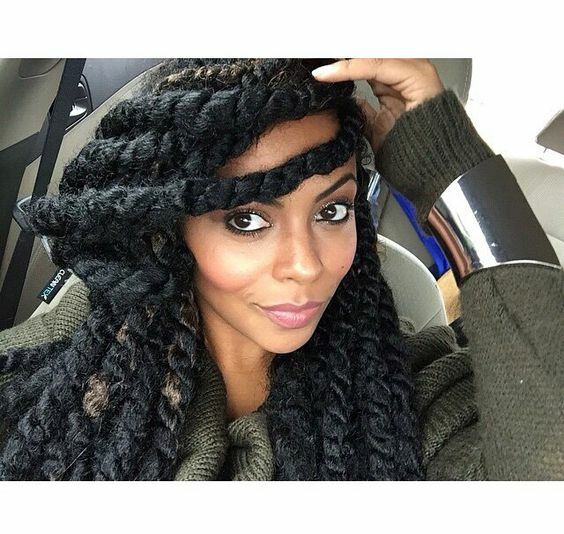 An ultra-chic up-do is created when you pair Marley twists with a designed scarf. Adding a scarf or head wrap to a Marley twists hairdo is a great accessory for events. 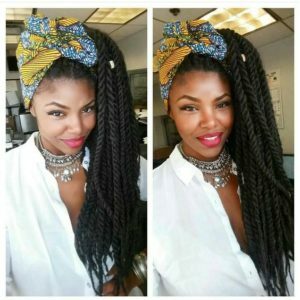 Scarves come in a variety of colors to add brilliant hues to your tresses. 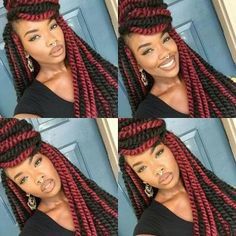 For a unique, edgy look, wear Marley twists paired with a wonderful Mohawk. 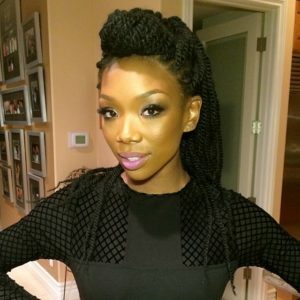 This one of a kind look is marvelous and beautifully created. 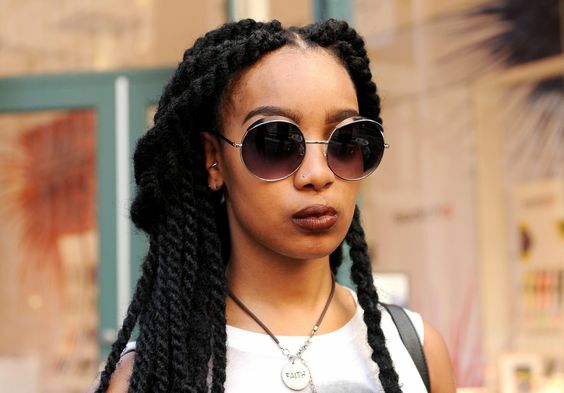 A deep shade of purple can emphasize a Marley twist hairstyle. Purple is a popular color to don these days and a darker, more violet color is a cool way to stand out. 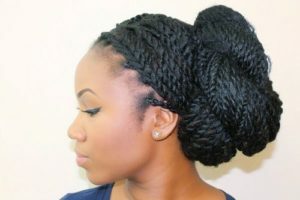 A sophisticated up-do is crafted with Marley twists combined with distinct braiding on the sides of your head. 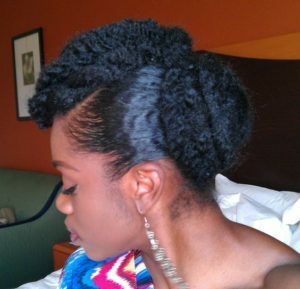 The uniqueness of this up-do allows it to be perfect for formal or casual gatherings. 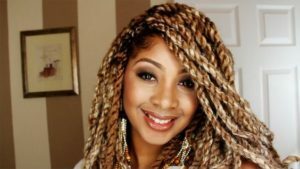 Showcase your class at cocktail parties with this unique hairstyle. Style Marley twists across your forehead for a beautiful look. Achieve a gorgeous hairstyle that can be worn at lunch with your friends or on the dance floor. 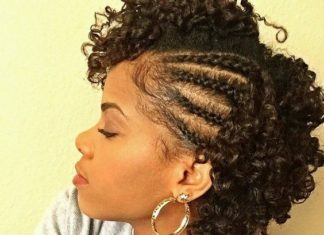 A short, cute hairstyle is created with mini Marley twists throughout your tresses. Shorter hair is a great look for Marley twists. You can don mini Marley twists at the office or sophisticated events. 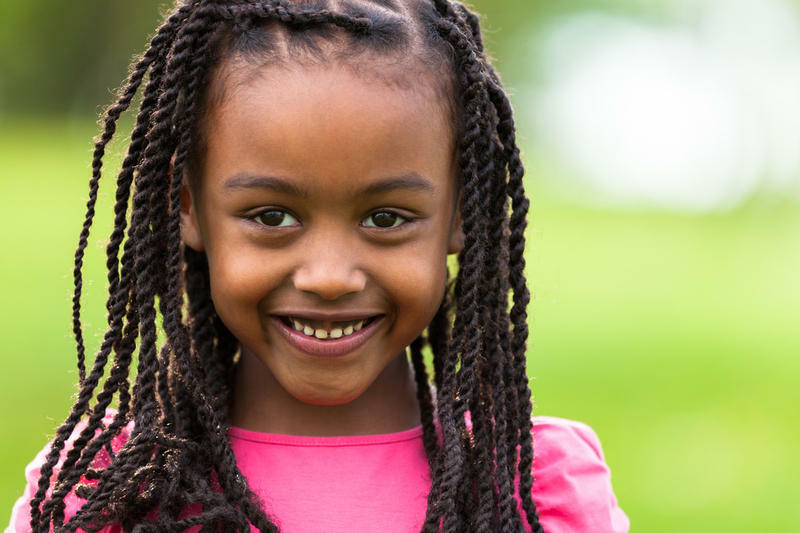 Many wonderful up-dos are crafted with Marley twists. 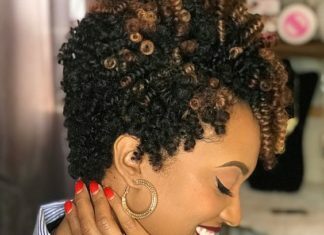 An elegant up-do showcased here is unique and gorgeous. Long Marley twists can be styled into an up-do designed by you. 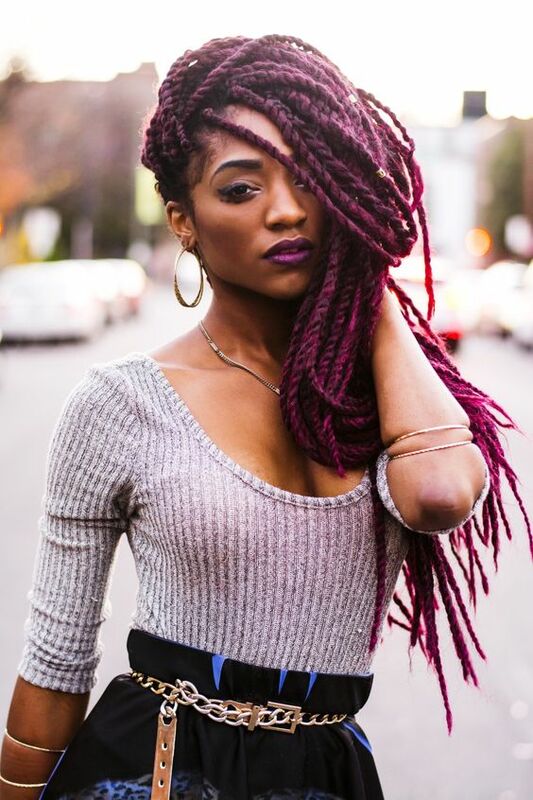 Combine red and black for a hip, cool stylin’ trend of Marley twist tresses. Color combinations can be created to convey your amazing sense of style. Wear colors that are unique to your fashion personality. Craft Marley twists atop your head and create a classy up-do. 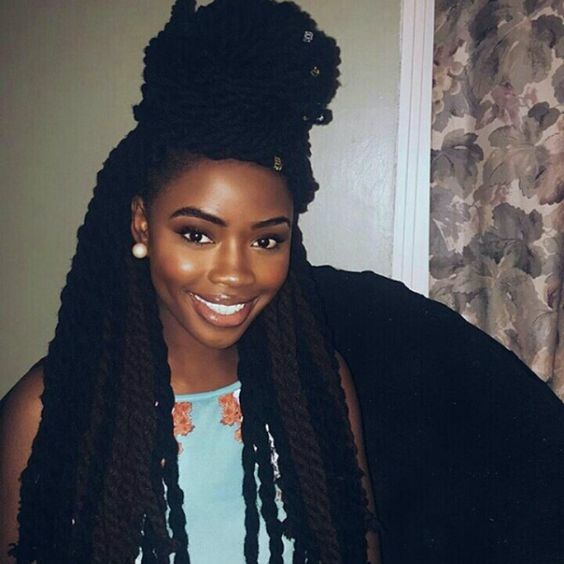 Marley twists are styled into a unique high bun for a beautiful look. You can wear this classy up-do to the office or to an elegant dinner party. Criss cross Marley twists are crafted into a unique hairstyle worn only by bold fashionistas. 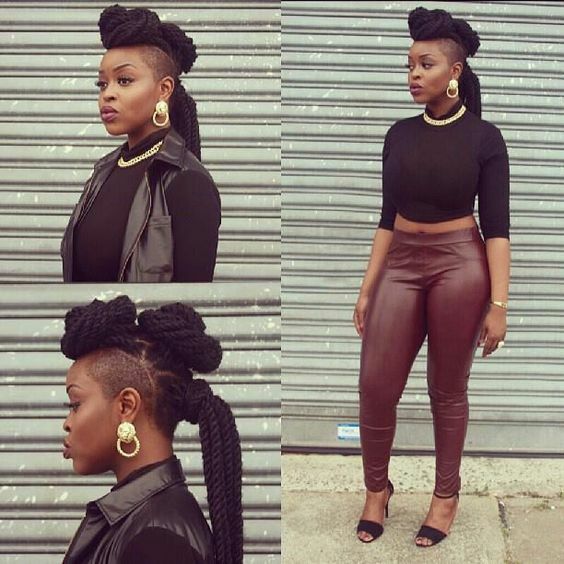 A Mohawk effect is created to add an urban edge to this distinct hairdo. Let the ends of your Marley twists cascade down your shoulders for a gorgeous look. A simple, chic style is created. Your tresses can flow freely in the wind as you visit the park. Combine Marley twists and braids for a wonderful, unique hairstyle. Create a half up-do look to let your beauty illuminate wherever you go. Simple sophistication at its best. 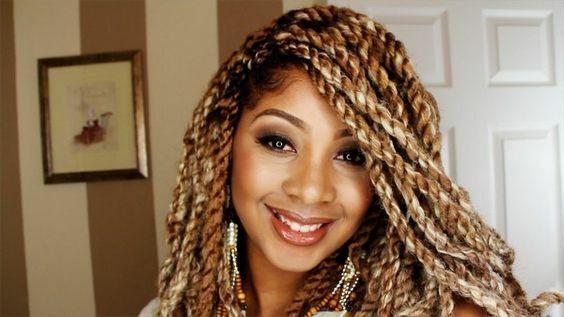 Add blonde Marley twists to your tresses for a beautiful hairdo that will never go out of style. Color brings new life to your hair and creates a wonderful sense of elegance. 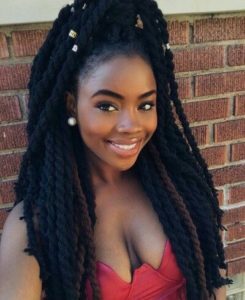 Don super long Marley twists for a beautiful hairdo that can be paired with your gorgeous attire. A simple, sophisticated look is conveyed through an effortless style. 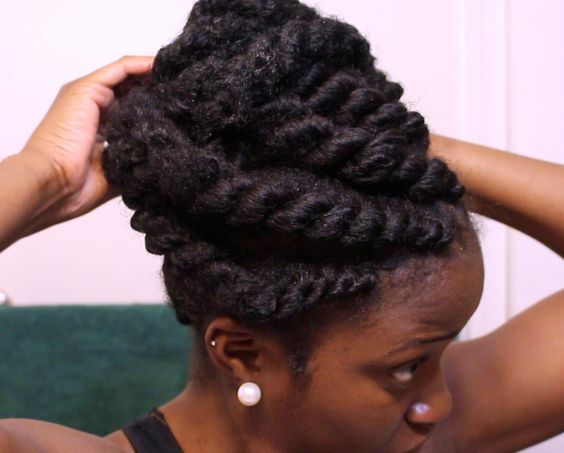 Marley twists are perfect for crafting half up-dos. 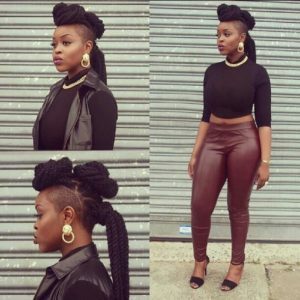 Style a high bun on top of your head for an elegant look. 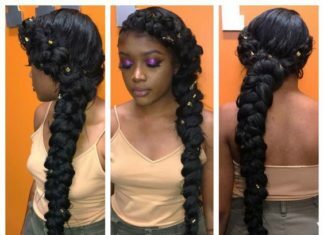 Jazz up your hairstyle with this unique half up-do. 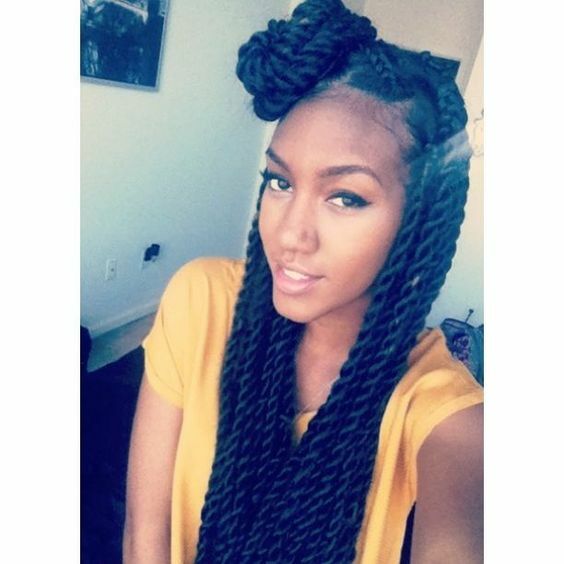 Pair Marley twists with cornrows for a unique up-do that emphasizes all your best facial features. Cornrows are on the sides of your head with Marley twists crafted into a front, high bun. 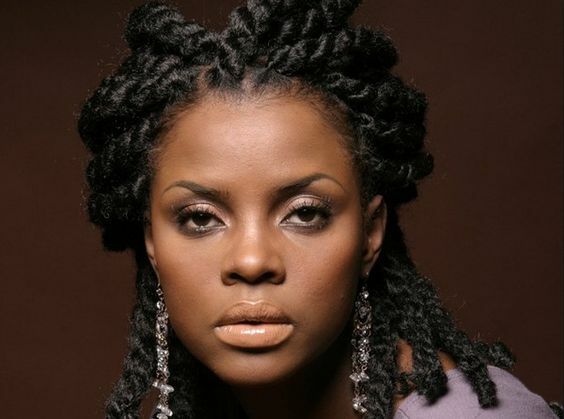 Light and dark brown Marley twists are a wonderful contrast for your tresses. 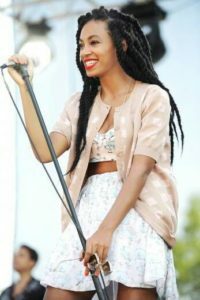 The two shades of brown create depth as well as dimension throughout your hair. Craft Marley twists into a unique faux hawk hairdo. Wear this beautiful up-do to formal events or to lunches with your family.